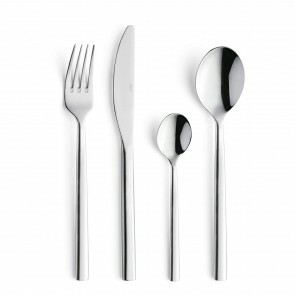 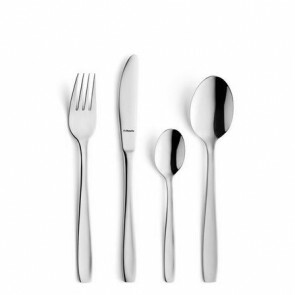 The 18 pieces cutlery set comprises of 6 coffee spoons, 6 table knives and 6 table forks. 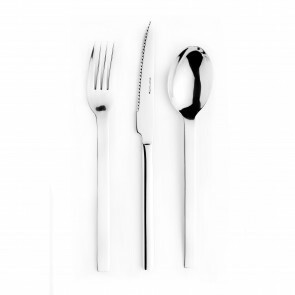 As an essential tableware, this item is a must-have accessory. 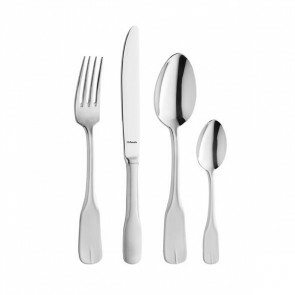 This kitchen equipment can be used for grand occasions, on a daily basis at home or in restaurants and big hotels. 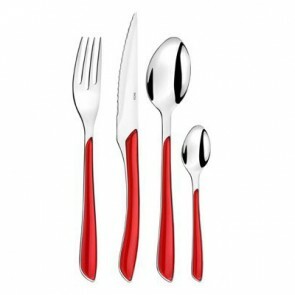 Generally made of 18% stainless steel, the 18 pieces cutlery set is made of an alloy containing 18% chromium which make it stainless. 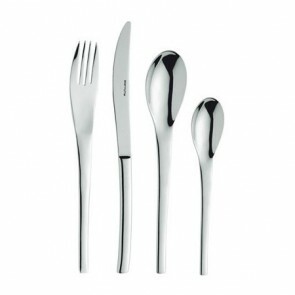 Utensils and cutleries with such a shiny stainless steel are of a higher quality. 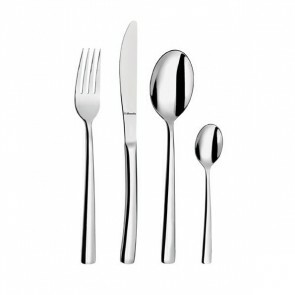 In addition, these stainless steel cutleries have a polished mirror finish that gives them an elegant look. 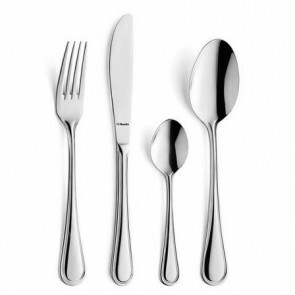 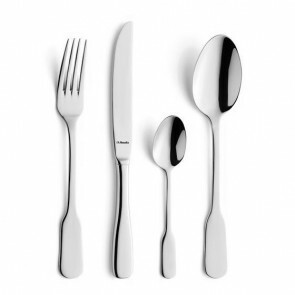 If you wish to purchase a high-end cutlery set which will impress your closed ones, an 18/10 stainless steel and mirror finish cutlery will be perfect. 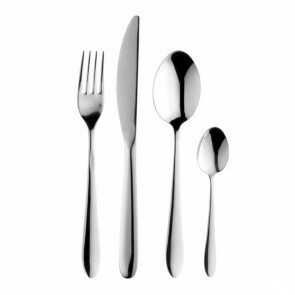 You will notice that the stainless steel flatware is only 18% magnetic. 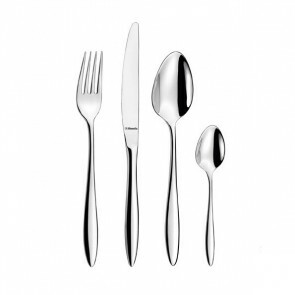 Polished stainless steel cutleries sets are easy to maintain as they are dishwasher-safe. 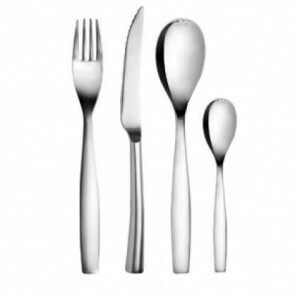 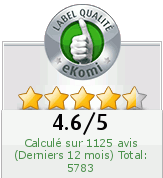 Some cutleries sets are made of different materials and come from different brands like Pradel Excellence, Bugatti, Guy Degrenne with collections like Modulo and Laguiole. 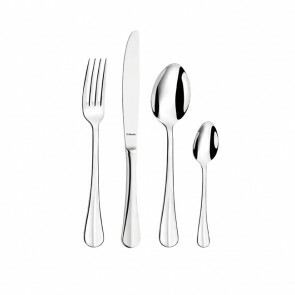 AZ Boutique offers a large variety of cutleries sets. 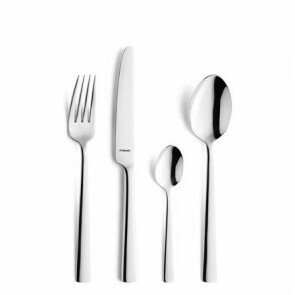 Other tableware items like the French flatware, salad serving sets, table napkins, cutlery holders as well as plates and other cutlery sets are also available. 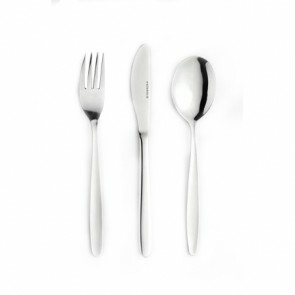 Do not wait any longer to take a look at our website.